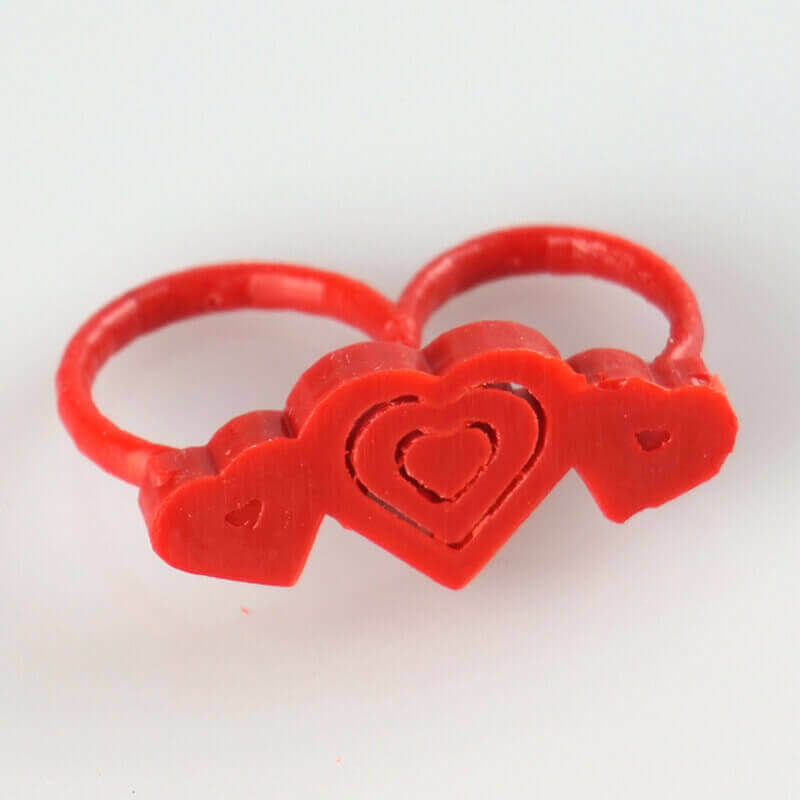 If you’ve neglected to remember the fact that it is soon to be Valentine’s day; don’t fret as there is still time to whip up something on your 3D printer which should suffice as a gift. Below are some of the most romantic prints for you to choose from which are free to download and print, but perhaps don’t tell your loved one that part. What is it? This design was made for a wedding but works perfectly well for a Valentine’s Day gift too. Where can I get it? You can find the pendant files here, or if you’d like to print it in metal check out our All3DP price comparison service. Where can I get it? You can find this design on Thingiverse. What is it? 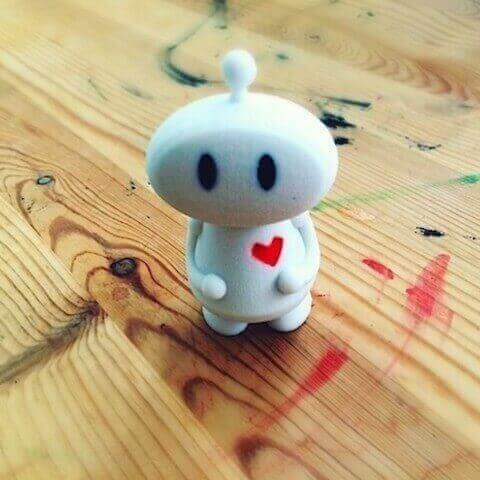 Mailbot is a 3D printed mini robot mailbox for little notes. The designer said: “There’s mail, and then there’s the mail you actually love to get.” Mailbot can be kept anywhere such as; your desk, office, car, and everywhere in between! Where can I get it? You can find this cute little guy here. What is it? Heart Charms! They can easily be linked together in different ways. If you’d prefer a bracelet, a necklace or even a ring from just one closed charm, there are many choices. 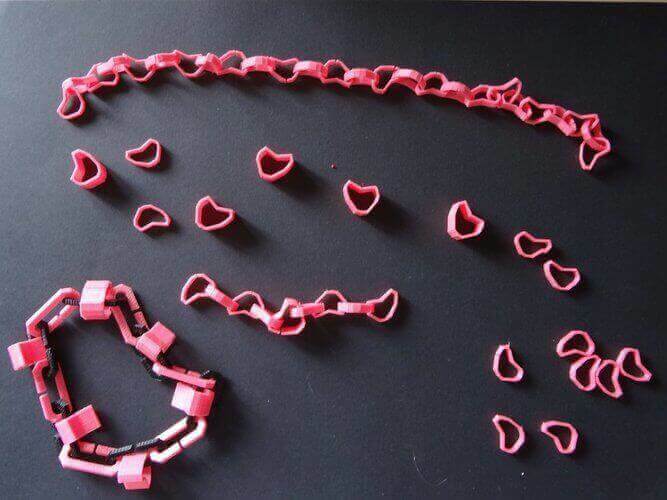 The hearticles come in different sizes, some are closed, some have an opening on the side and some on the bottom. This sweet little idea makes nice jewelry. Where can I get it? You can find the downloadable files here on Pinshape. What is it? 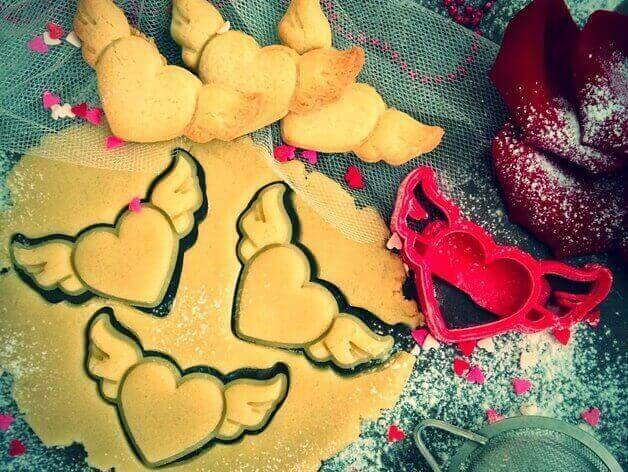 With this OogiMe Valentine’s Day Collection cookie cutter, you can easily surprise your loved one. 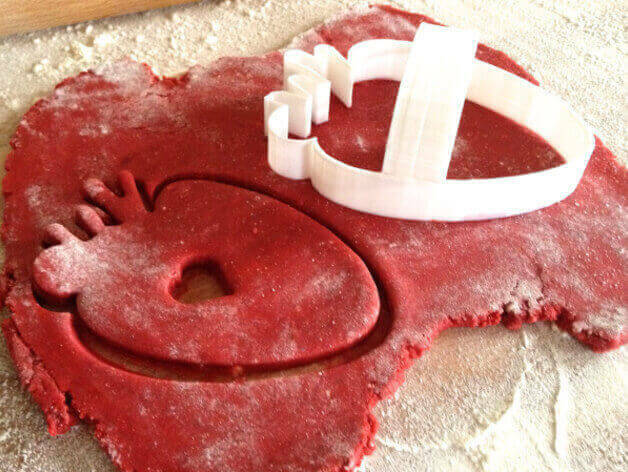 The estimated print time is just 44 minutes, and depending on how good you are in the kitchen, estimated baking time can vary. Where can I get it? You can find this fabulous design here. What is it? For anyone who likes pink heart lighting, this gift is the perfect choice. 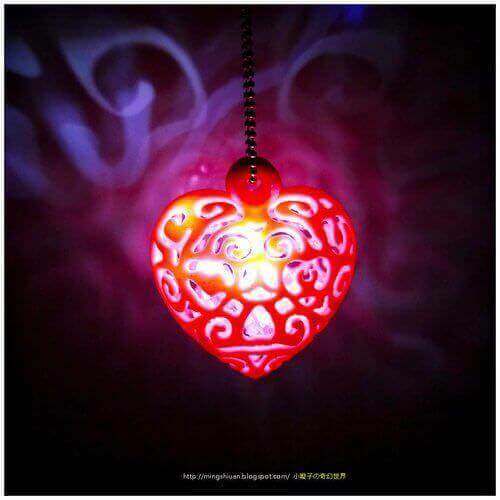 The heart light is one which casts beautiful mood lighting, perfect for Valentine’s Day. Where can I get it? Find this gorgeous print here. What is it? This little guy has been described as: “the ancient forefather of the almighty Duck Dynasty”. Sharing a bubble bath with him may make Valentine’s Day feel a lot less lonely. Hopefully. Where can I get it? You can download this design here. What is it? If you’re a bit of a cheapskate, then you’ll find that this option is a much cheaper alternative to Tiffany’s. Where can I get it? This super cute heart pendant can be found here, with a free download too. Where can I get it? 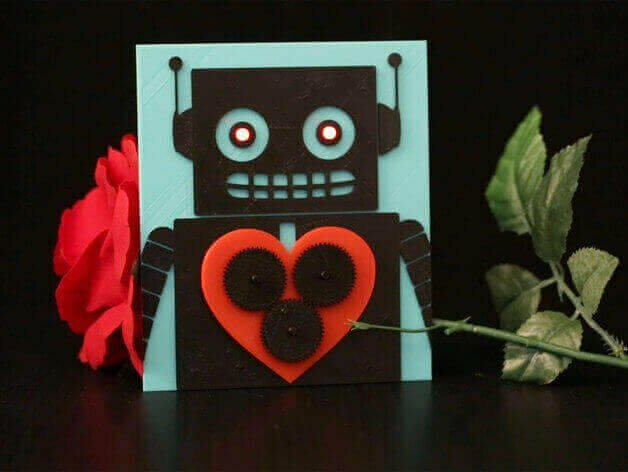 If you’re looking for an alternative present option, then you can find this idea on Thingiverse. Where can I get it? You can find this sweet little idea on 3DShook, and download the print for free, here. What is it? 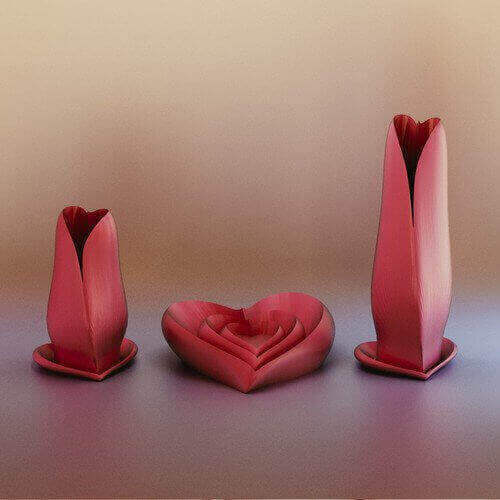 The Valentine Set comprises of heart inspired vases in short and tall varieties with an optional heart-shaped base, and a matching three section heart shaped candy dish too. Where can I get it? These classic looking dishes can be found on Pinshape. What is it? 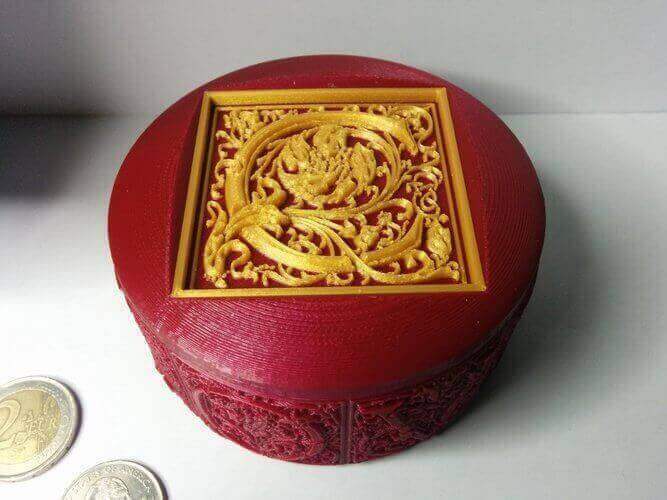 A circular trinket/present box with the words “I LOVE YOU” embossed in the style of Morris/Goudy around the outside. There is a plain lid, or if you prefer, a lid with space for an insert of your loved one’s initial printed separately and pressed in. Where can I get it? You can find the design here. What is it? This cute little ring which features three hearts is a great present for anyone with questionable jewelry taste. What is it? To go with your loved one’s heart ring is a simple heart bracelet too. 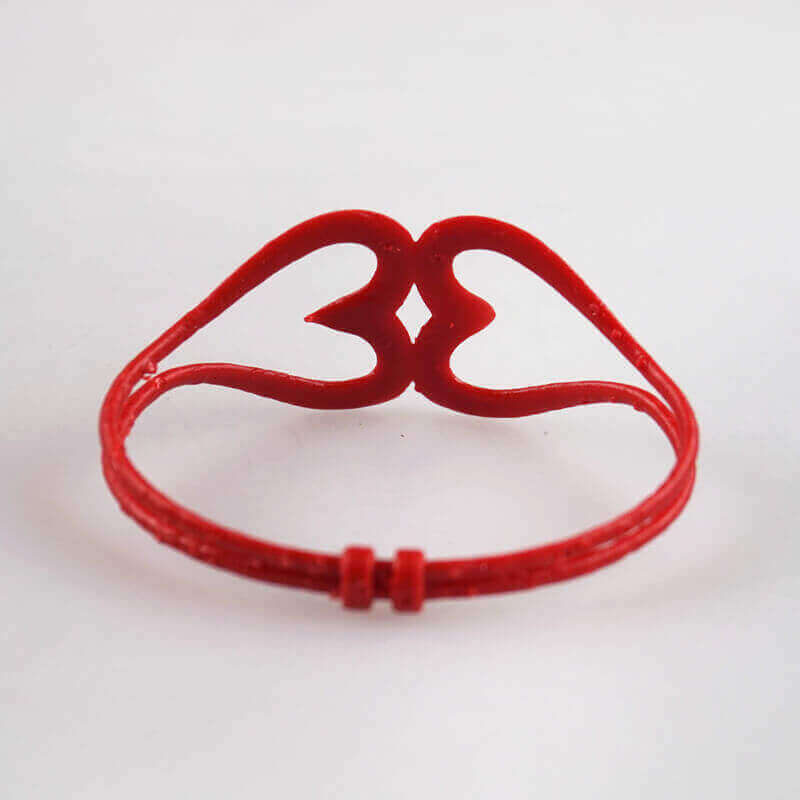 Perhaps you could make a whole jewelry collection from your 3D printer? Where can I get it? 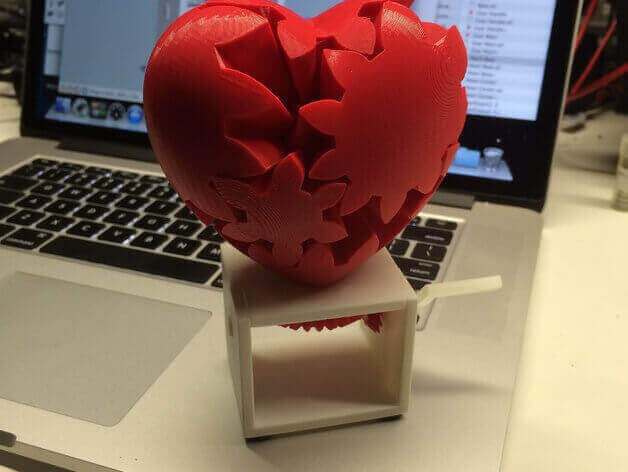 Check out this beautifully simple design on MyMinifactory. What is it? Moving away from the heart theme is this sweet yet functional idea. 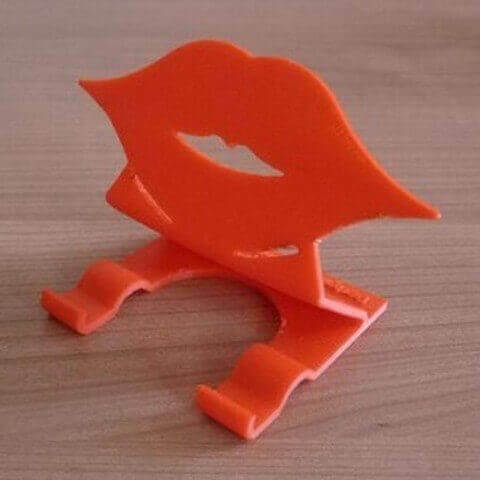 The Support Bouche is used to hold up your smartphone or tablet – something romantic yet useful. Where can I get it? You can check out this cheeky idea on Cults3d. Where can I get it? Check out this sweet idea here. What is it? 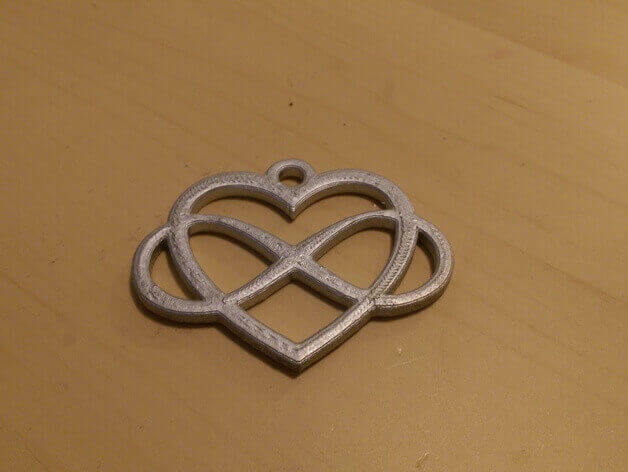 If you want an understated present, then check out this 3D printed design which works as a key ring. 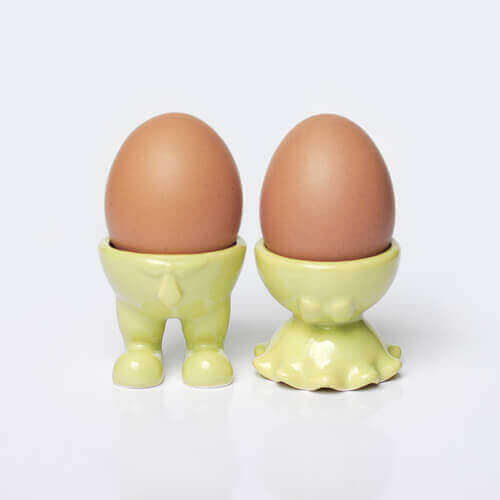 The whole print only takes about 40-60 minutes and can be done in a single print with no raft or supports. Where can I get it? You can find the simple, but a super cute idea on Cults3d. What is it? 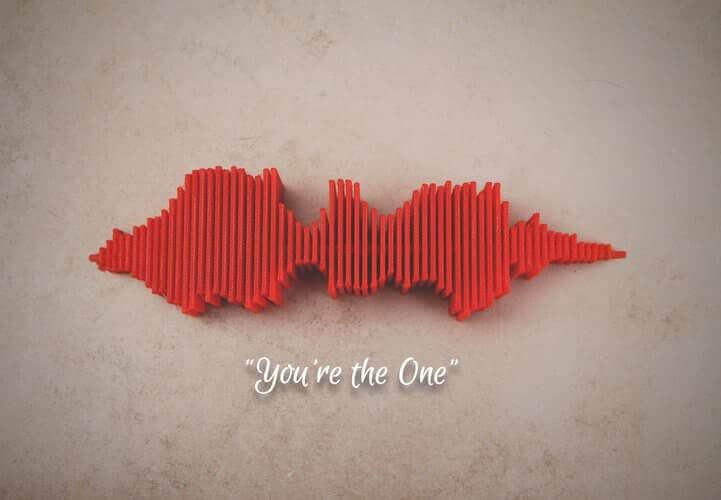 This design has an impressive 1,943 likes so it seems many people may be receiving the same Valentine’s Day gift this year! Where can I get it? 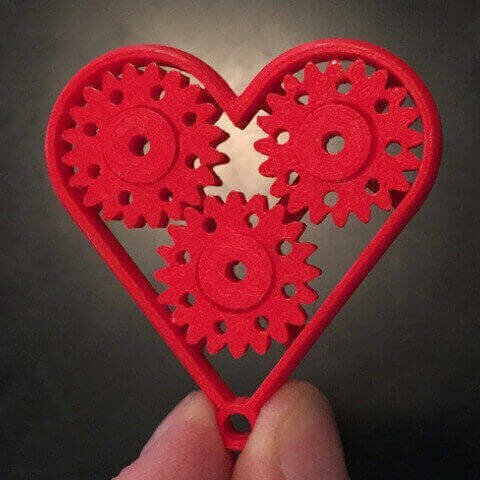 The geared heart works with a hand crank and is available to download on Thingiverse, but a motorised version is also available here too. Where can I get it? 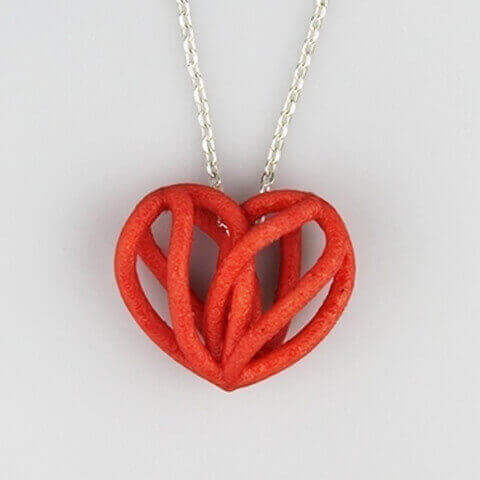 You find a 3D printed necklace at Shapeways. All3DP GmbH makes 3D printing available to everyone. If you choose to buy an item through one of All3DP’s articles, we do not charge any fee or additional price on top of our partners fulfillment price. We are paid on a commission, which means that we receive a small percentage from our partners. Also, we are not selling the models. 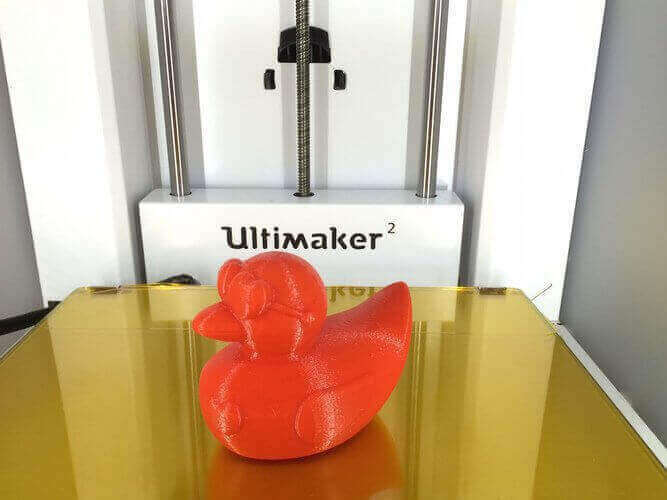 By comparing the prices of our 3D printing services, we simply are pointing you to the lowest 3D printing price available. If you would like to know more, please visit our Terms of Service. Also, the editorial team of All3DP only conveys models that are under Creative Commons 4.0 Licence. All3DP will never convey STL files which are marked with the non-commercial use licence (CC NC). Also, according to CC BY, we give attribution where needed. If you are the designer of a model and want to be removed from All3DP’s price comparison service, please send a mail to [email protected]. 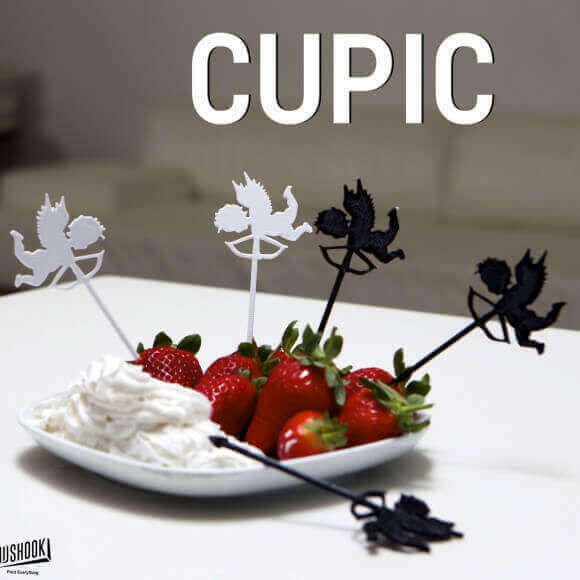 License: The text of “20 Romantic Things to 3D Print for Valentine’s Day” by All3DP is licensed under a Creative Commons Attribution 4.0 International License.